Livermore the town and valley brings up several things in the mind of Bay Area residents. The general first item to come off anyone’s tongue is “oh, it sure gets hot there,” which is true that there are a handful of days in the summer where highs hit the triple digits. Of course, the same happens in many local cities, but our local meteorologists always seem to emphasize Livermore being scorching hot as if it’s Palm Springs (it’s not). Livermore is close to where the windmills are when you’re driving out to Tahoe and it’s where the traffic is always bad because Bay Area home prices have made Tracy now a defacto part of the Bay Area. Livermore has the Lawrence Livermore National Laboratory. Oh, and of course, it has those giant wine producers Wente and Concannon, which don’t have the most sterling reputations for their supermarket budget bottles. Livermore is all those things or has all of them. But, they’re all so lightly skimming the surface of what truly is the Bay Area’s “other” marquee wine region that none of those remotely describe the exciting culture and beauty that a weekend in Livermore presents. Sure, there’s Wente and Concannon, but the Livermore Valley has 55 tastings rooms, many of which are small, family-run places that offer wine on par with the likes of Napa Valley, Sonoma County, and Santa Cruz Mountains. Taste a Cuda Ridge Semillon and you’ll understand that this is far from mass-produced airline wine. Then there are the golf courses, the restaurants, the breweries, the...you get the idea. All of this in a major wine region just an hour from San Francisco (not at rush hour) and free of hoity-toity $100 tastings. Don’t get us wrong — we’d gladly spend as many weekends as possible hopping winery to winery in Sonoma County and Napa Valley and the Santa Cruz Mountains. However, whether it’s 100 degree or 60 degrees, it’s hard to beat the Bay Area’s formerly underappreciated other wine region. 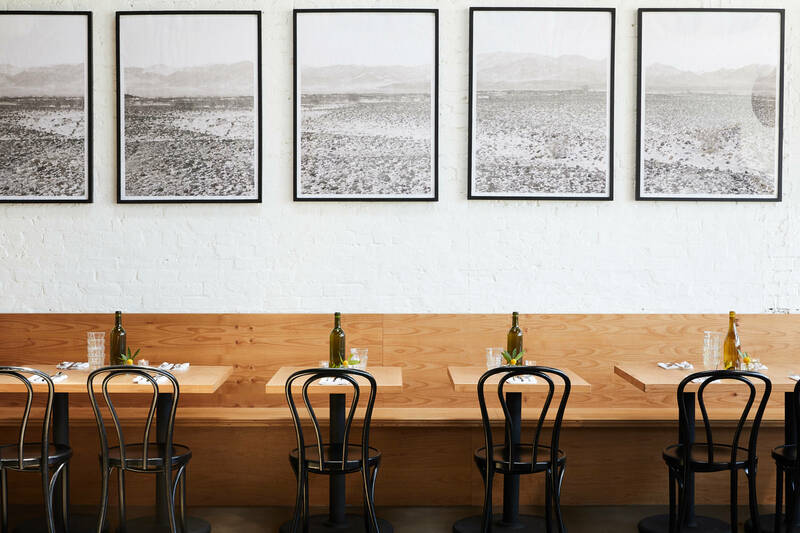 Here’s a food and wine-packed weekend that proves that Livermore Valley is in the big leagues of California wine countries. Note: Livermore isn’t split up by districts or appellations or rivers or mountains as much as it’s just divided by directions and roads. In general, the climate across the valley is relatively similar, but the soil types differ and vineyard elevation gradually lowers the further west you travel according to winemaker Steven Kent Mirassou. For our wine-filled weekend exploring, we’ve divided the four Livermore Valley winery segments somewhat geographically (Greenville Road, Tesla Road, Westside, the Block at East End) because we’d rather have 15 extra minutes of wine than extra time on the road, right? 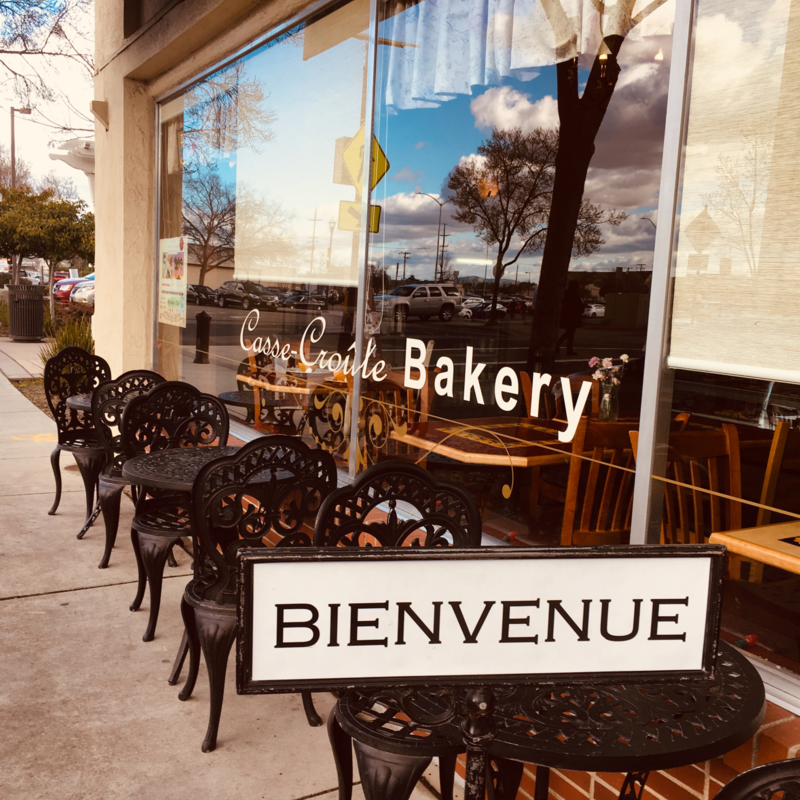 Husband-and-wife team Richard Denoix and Lenore Colarusso-Denoix’s French bakery is a huge reason why waking up in Livermore isn’t so hard, or is a wonderful treat after an early drive to town to kickstart the weekend. Richard grew up in rural southeast France and, after long periods serving in the French Air Force and then software after immigrating to the U.S., he decided to switch gears and bake French breads and pastries. If it’s a breakfast hour, opt for a croissant and an apple turnover. Regardless of the time of day, a baguette sandwich is pretty essential, as are chocolate chip cookies and some form of fruit tart. Don’t think too hard about the inspiration for this winery’s name. Indeed, there are a trio of men named Steve who decided, hey, let’s start a winery and there’s a pretty obvious name for that winery: our names! 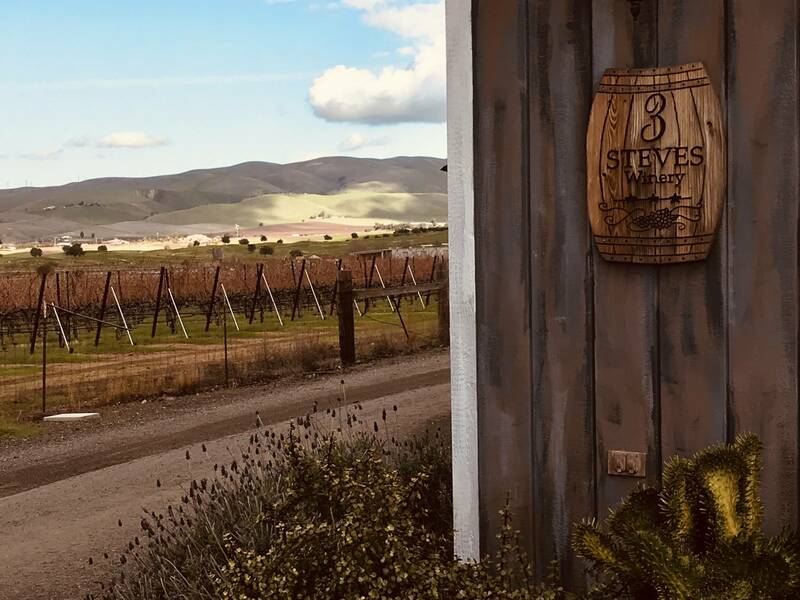 3 Steves is part of the Greenville Road area of the Livermore Valley, which is the most quintessential “wine country” part of the area with the panoramic views of rows of vines and sweeping hillsides that brochures and magazines often feature. Zinfandel, Cabernet Sauvignon and a brut sparkling wine made of Chardonnay and Pinot Noir are the go-to wines at 3 Steves, but the whole roster is one of the strongest in the valley. Livermore Valley is filled with wineries boasting great outdoor patios and the al fresco situation at 3 Steves is easily among the best, as well. It’s a very, very short drive to 3 Steves’ neighboring winery. Cabernet Sauvignon is McGrail’s calling card and the estate grown Cabernet Sauvignon is indeed stellar. As you’ll see across these two days of tastings, one of Livermore’s big debates, for better or worse, is that there isn’t a “signature” grape. With McGrail, you know which grape is the boss. It will no doubt be the highlight at this gorgeous tasting room with palm trees outside and a bocce ball court. Sadly, the winery’s founder Jim McGrail (a former Alameda County cop and prosecutor) passed away last year, but the winery continues to produce outstanding Cabernet Sauvignon (and Chardonnay and a few other wines) under longtime winemaker Mark Clarin. There are two options for lunch technically. Posada Restaurant, located slightly outside of downtown in a nondescript shopping plaza, is Livermore’s Southwestern cooking legend and for extremely good reason. Try the chicken enchiladas or adobo rack of lamb with New Mexico chile rojo, and you’ll understand. However, there is a new Posada on the scene and, it’s oh so conveniently usually parked in the warehouse wine district called The Block at East End. Luckily, there are no shortage of wine options for taking your blackened pork belly tacos and watermelon salad with mango-habanero vinaigrette. 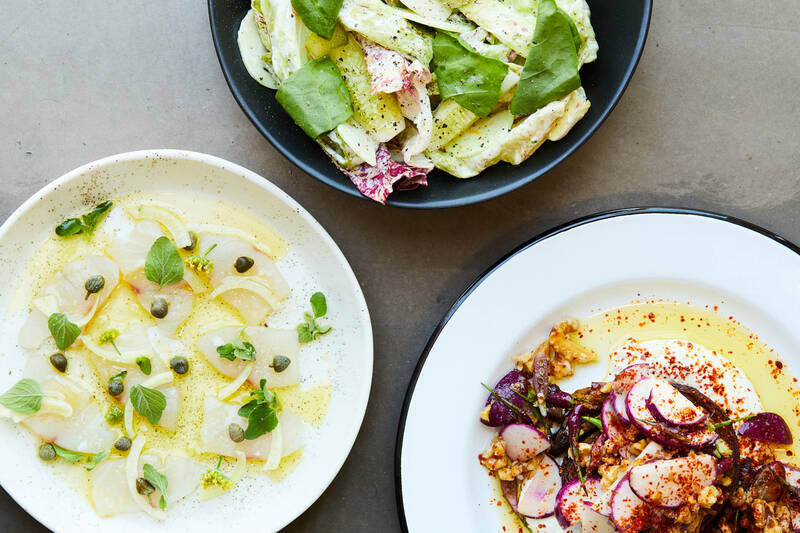 The truck offers an exciting chance for chef and co-owner Eduardo Posada to serve slightly edgier, appropriately portable food to a winery and brewery audience. 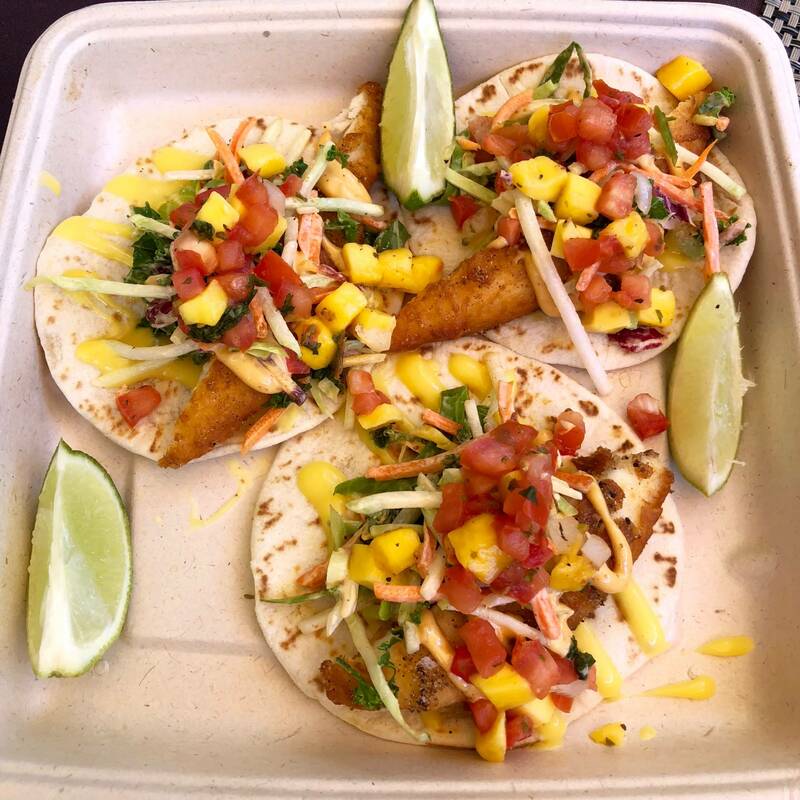 The chipotle fish tacos are exactly what a mid-wine tasting day calls for. Tacos in hand, it’s time for some wine. You’ve got a handful of wineries to choose from, one next to the other next to the other in the Block at East End. Start at Nottingham Cellars, where winemaker Collin Cranor (the son of founder Jeff Cranor) and Craig Ploof (formerly assistant winemaker at the acclaimed Steven Kent Winery that you’ll visit tomorrow) craft excellent Bordeaux varietal wines and Chardonnay, served in a sleek gallery-like space. Nottingham also produces some notable "Typicité" Pinot Noirs, led by a leaner, red berry-forward 2017 from the Santa Lucia Highlands. The winery has a sibling brand called Vasco Urbano that focuses on Rhone style reds and Petite Sirah. 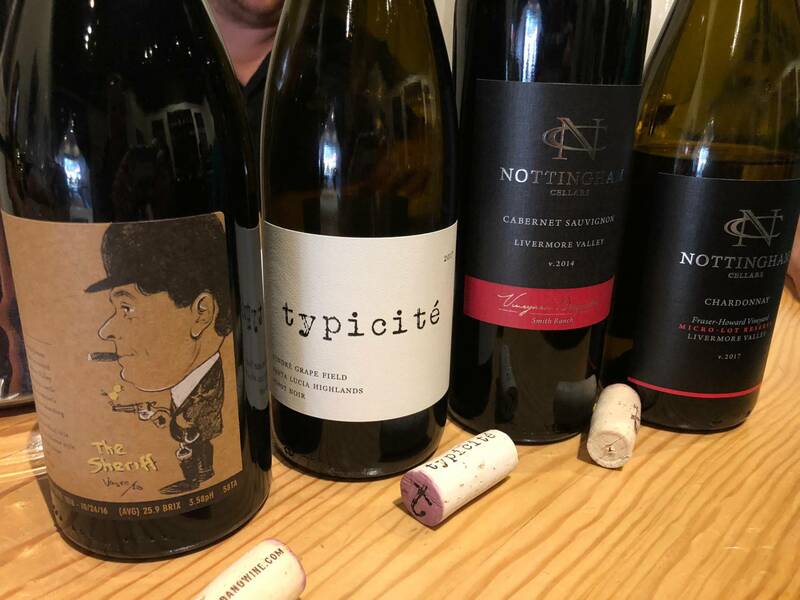 Try all of the wines in the portfolio because you’ll see how Nottingham is remarkable in having such an extensive roster, yet each wine has a distinctive small-batch polish. About three steps away is a relative newcomer, McKahn, where Rhone varietals are the theme. 29-year old winemaker Charles McKahn (the son of the owners) has a gentle touch with Viognier and Grenache, while also crafting a terrific Syrah full of ripe black fruit and anise notes from the Spring Mountain district of Napa Valley. 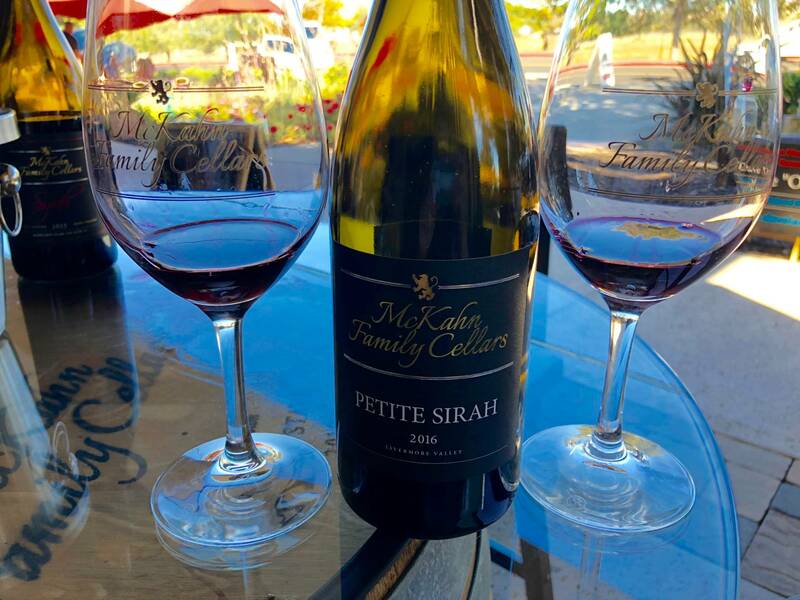 If you sit out on the patio shared with Notthingham, chances are there will some live music to entertain and make you want to keep lingering over yet another great Livermore bottling of Petite Sirah — this one happens to be the only wine McKahn makes with the grapes coming from Livermore. Winemaking is science, right? In the case of this winery, there is a deep scientific background. Founder/director of winemaking John Kinney was a longtime physicist and UCSF professor before he decided it was the opportunistic time to go make wine. Hence, here you have a winery named for the Roman Goddess of Opportunity. 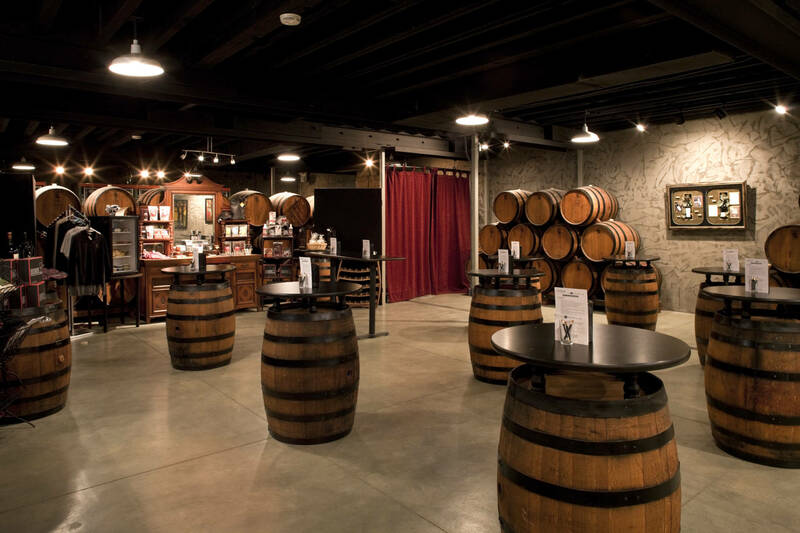 Follow that theme and take the opportunity to taste Kinney’s Cabernet Franc, an opulent barrel-fermented Chardonnay and a dense, spicy Heritage Reserve Cabernet Sauvignon. 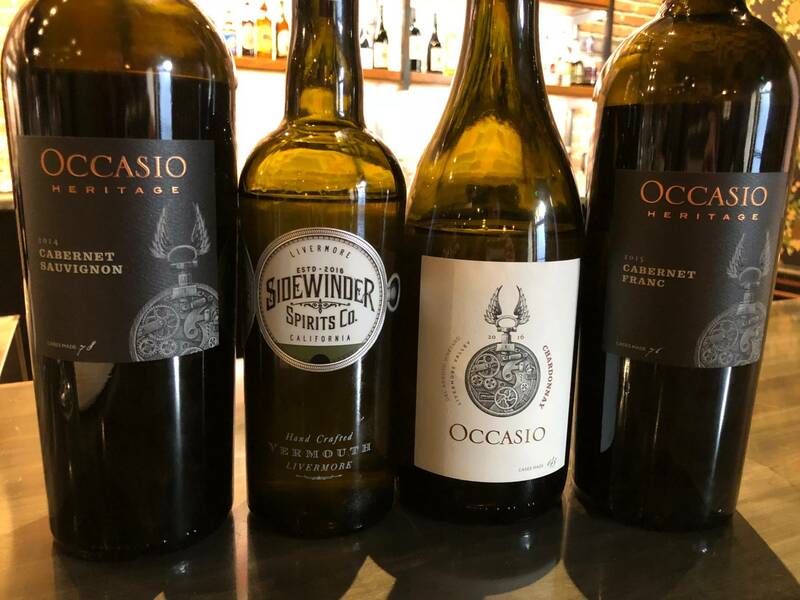 Kinney’s wine career, which kicked into high gear when he used his sabbatical to study enology at UC Davis, has extended to distilling as he is also the owner of the nearby Sidewinder Spirits. The vintage Victorian Sidewinder cocktail bar/tasting room is as stunningly period detailed as it gets and soon will open to the public (for now it’s Occasio members only) so everyone can try the vermouth and grappa in lavish surroundings. While science is the background at Occasio, Rhonda Wood was a US Airways pilot before learning about home beer making while on maternity leave in 1991. A few years later she switched gears to wine and fully left the pilot gig for the winery in 2006. 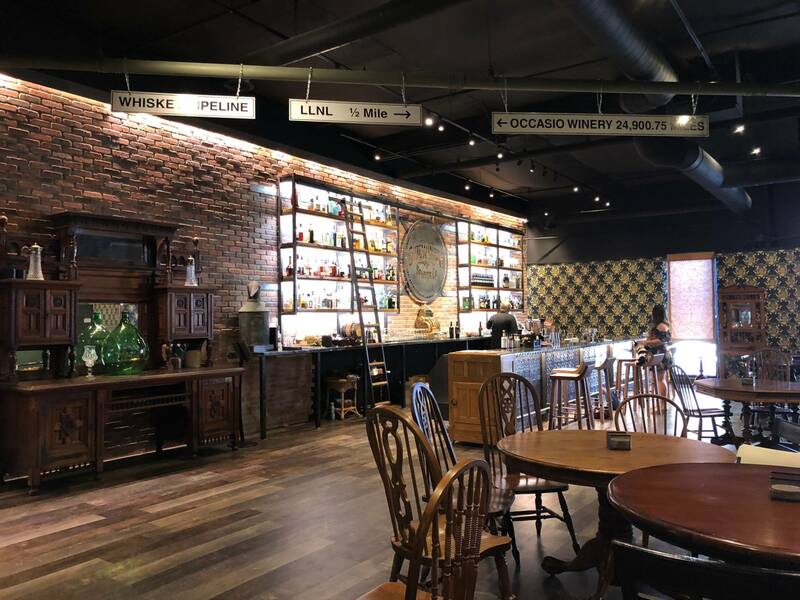 The tasting room really is a party every day as a locals’ favorite that makes it feel like Livermore’s “Cheers” where everyone knows everyone’s name. That breezy vibe extends to the wood-paneled wagon car with surfboards logo that makes drinkers think of the Beach Boys while taking a sip of “Para Mas Amigas” Chardonnay or “Viva” Cabernet Sauvignon. If you can try the “Clone 30” Cabernet Sauvignon, don’t pass up the chance. That’s enough wine tasting for day one. No worries for the next step, though, because Livermore’s beloved IPA-focused brewery (the Tri-Valley’s first post-Prohibition brewery and still its best) is right across the street from Wood. 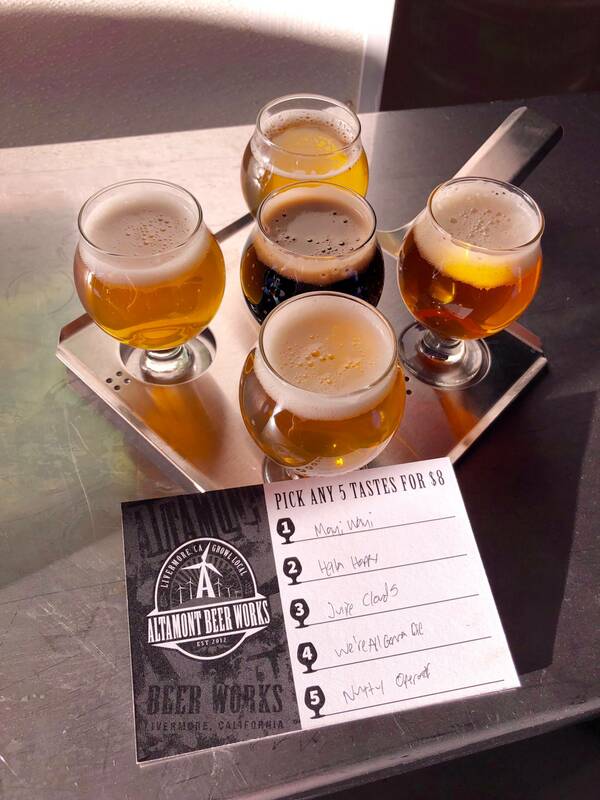 Try all the hop-heavy beers on offer, and if the intense Nutty Operator oatmeal-peanut butter stout is there, definitely add that to a flight or just get a pint of it. After all of those tannins and frilly tasting notes from the wineries, here’s the place to just chill and maybe watch some sports in a de-facto happy hour. After dining all over the Bay Area to keep up with new restaurants popping up left and right (including many here for KQED), this writer named Range Life the top restaurant opening of 2018 for abundant reasons: a gorgeous chic-pastoral design, superb cocktails by the talented bar director Waine Longwell, cheery service, and a refinement that makes the restaurant feel eight-years old. Most of all, though, it’s the cooking of chef Bill Niles who deftly weaves together global touches into a distinctly Californian template with top-notch ingredients: Rio Oso grapefruit with fried parsnip and fresh burrata, relaxed and mega-umami versions of Fort Bragg uni on toast and hot chicken wings with fermented chili sauce, a hearty roast half chicken with Anson Mills polenta and spring garlic jus. It’s cooking that strikes the right tone of creativity, high technique and being approachable. You WANT to eat this food. The chef and his wife Sarah worked at headliners in San Francisco (he was executive chef for Tartine Manufactory, she was a manager and wine director for Outerlands), and were convinced to head to Livermore by Sarah’s former roommate (and Waine’s wife), Lauren Heanes-Longwell, who redesigned Range Life’s 1800’s brick building into the sleek restaurant it is today. All together, it’s an all-star team that was convinced of Livermore’s merits and will convince you of its merits. One last drink means a nightcap in Livermore’s craft cocktail destination in the heart of the bustling downtown area. Every six months, the bar switches its theme (like Trick Dog for our San Francisco readers). 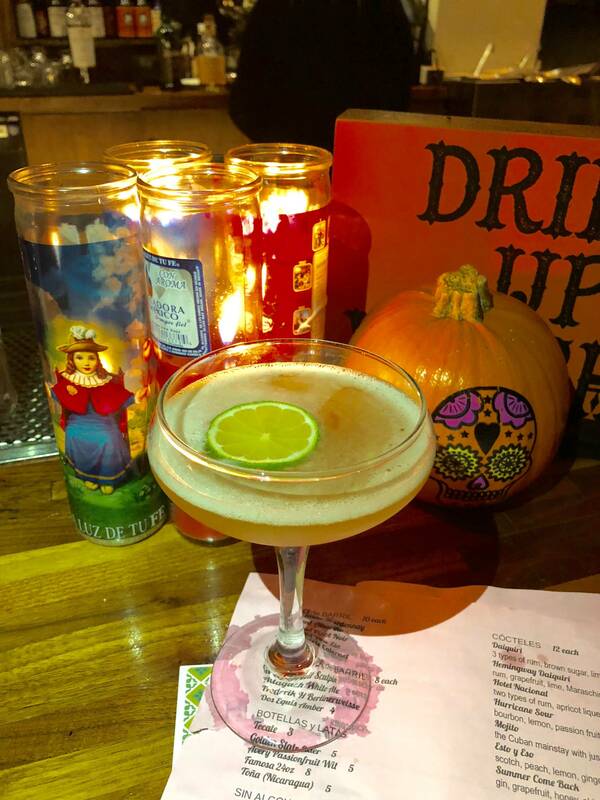 As of press time, the menu was a Cuban-themed “Revolucion” with a few types of classic Daiquiris, plenty of rum-forward offerings, and a Hurricane sour with bourbon, passion fruit and a frothy egg white body. If you’re still hungry after Range Life, munch on some bacon empanadas. After a long Saturday of wine tasting (and more beer, wine and cocktails afterwards), coffee is probably going to be a necessary way to start the second day in Livermore. 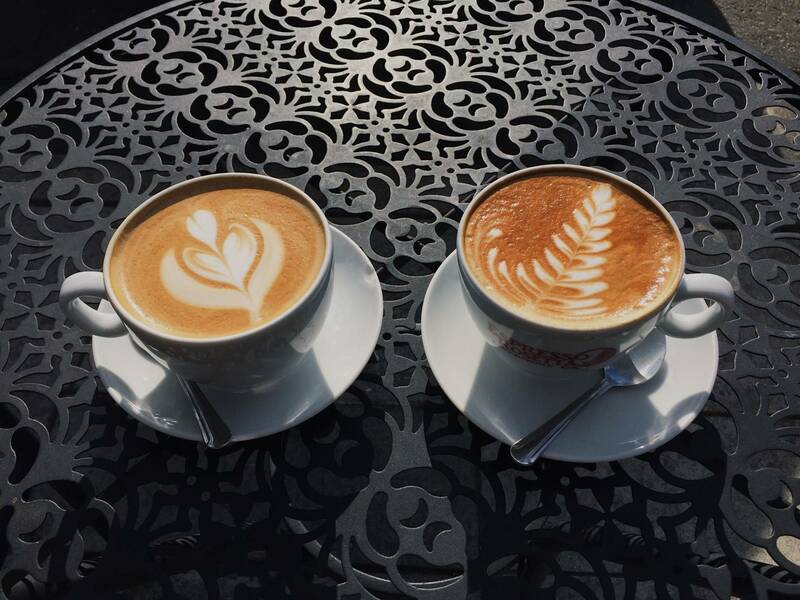 Here’s the good news: Espresso Rosetta is a standout third wave-style coffee shop complete with all the latte art and perfectly pulled ristretto shots that are now expected in the genre. The cheery downtown café also has plenty of sweet and savory pastries to join the caffeine in knocking your palate back into wine tasting shape. Properly fortified with caffeine and calories, day two of tasting begins at one of the pioneers of small-scale, high quality wine making for the region. Steven Kent Mirassou’s delightful wines can be tasted in the “Barrel Room” at various price points. All of the lineups usually showcase either the Merrillie Chardonnay or Lola Bordeaux-style white blend of Sauvignon Blanc, a “Collector’s Circle” Home Ranch estate-grown Rhone blend or Italian variety, a “BDX Collection” Bordeaux red blend from the nearby Ghielmetti Estate Vineyard that was planted with the aspirations of being Livermore Valley’s definitive “Premier Cru” vineyard and the signature Cabernet Sauvignon offerings that make this winery 1A and 1B with McGrail for being Livermore’s iconic Cab whisperers. Continue along Tesla Road (no relation to Elon Musk’s electric car company) past the sprawling Concannon complex when the road bends and becomes Livermore Avenue. Here, you’ll find one of the more unique wines (and uniquely named wines) in Livermore Valley: the Page Mill GPS, a typical Rhone red blend that swaps out Mourvèdre for Petite Sirah, a grape that many consider Livermore Valley’s signature varietal since Page Mill’s neighbors at Concannon were the first American winery to make a bottle of the varietal itself. 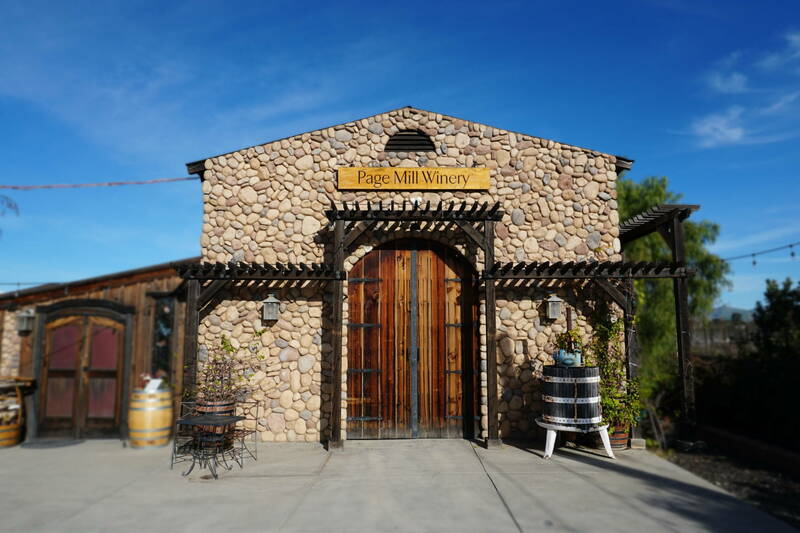 For this writer who grew up as a neighbor of the original Page Mill Winery location near Palo Alto on the actual Page Mill Road, it’s still hard to think of Page Mill Winery…in Livermore. That was the decision made by the Stark family in 2004 to be closer to the grapes and to have more physical space than just making wine at their actual house. Owner/winemaker Dane Stark is in charge these days of the operation across the Bay and the wide range of wines are consistent winners from Tempranillo to Cabernet Sauvignon to Chardonnay. 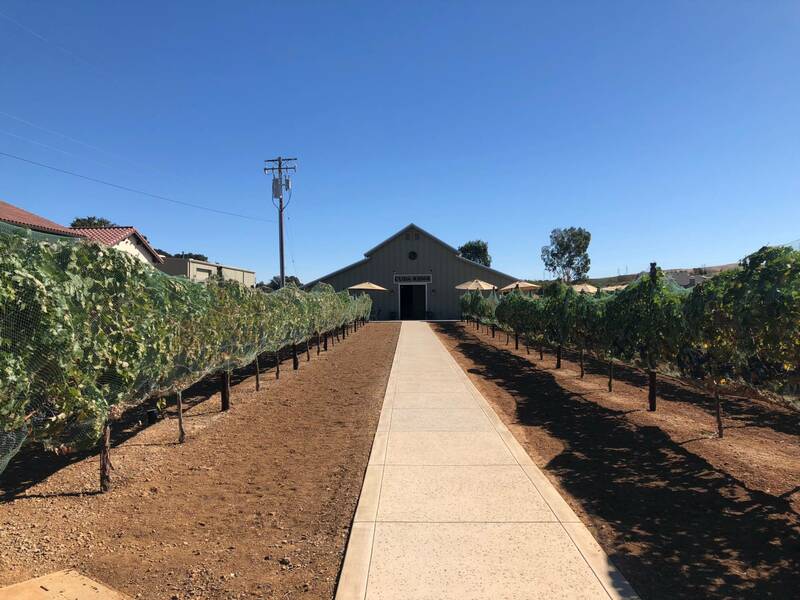 A visit to Livermore isn’t complete without a visit to the marquee large producers, along with Concannon, who put Livermore Valley wine on the map. Yes, both wineries have bottom-shelf bulk production wines that aren’t worth a weekend trip detour, but they both have small-lot, refined wines that are as noteworthy as any in the region. For Wente, you can experience those at Wente’s Winemakers Studio and tasting room at the main winery on Tesla Road. But, this weekend’s let’s have both Wente wines and excellent food together for lunch at The Restaurant at Wente Vineyards. The setting is breathtaking, so it’s not wonder that this is a premier Bay Area weddings and concerts destination. Come back again for both of those. For now, it’s time to eat. On the menu for lunch at this “Check Please! 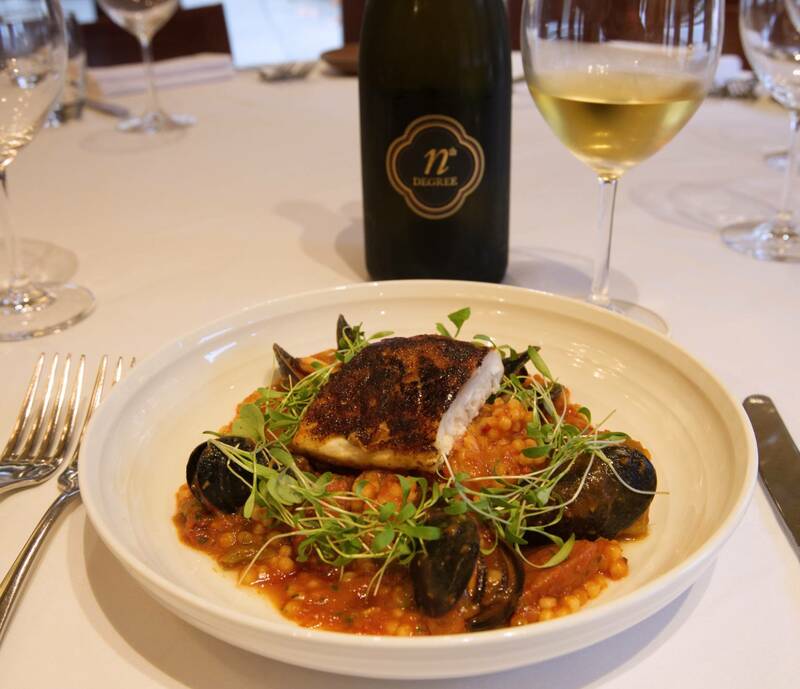 Bay Area” approved restaurant, executive chef Mike Ward presents a $65 3-course pairing lunch, where the 2016 Nth Degree Chardonnay might partner with a sea bass with romanesco and red curry. Wander back from the countryside into the westside of Livermore, surrounded by bike trails, new looking residential communities and Ravenswood Historical Site. 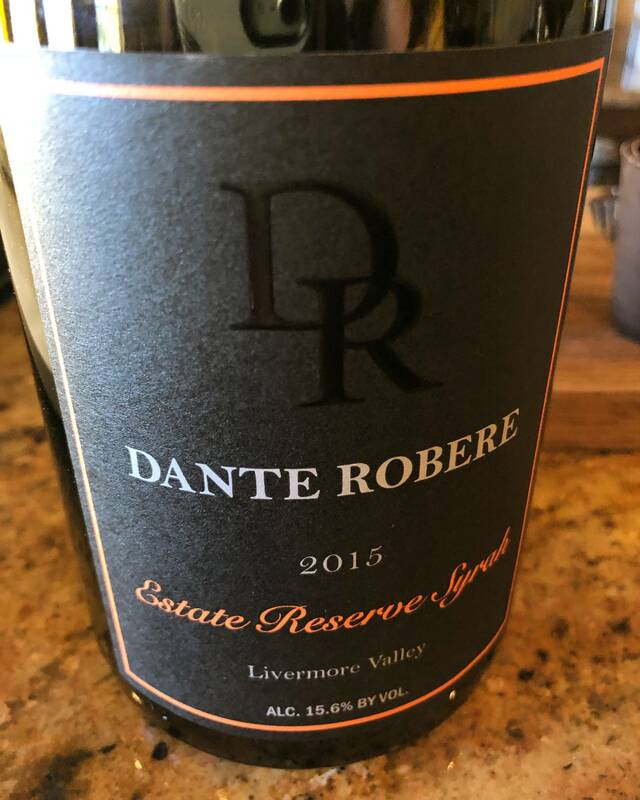 Like many of the Livermore Valley wineries, Dante Robere is the result of friends who liked boutique, family-run wineries and said to themselves, “hey, why not make our own?” Dante is Dan Rosenberg and Bob Bossi is Robere, and their three-decade friendship led to this tongue-in-cheek named winery that sounds like an elegant Bordeaux chateau, but really is a down-to-earth label for Syrah, Rhone varietals, Zinfandel, and several other grapes, sourced locally and from the Sierra foothills. If you’ve never tried Mourvèdre on its own, this is one of the smoothest examples you’re bound to encounter anywhere in the state outside of Paso Robles. 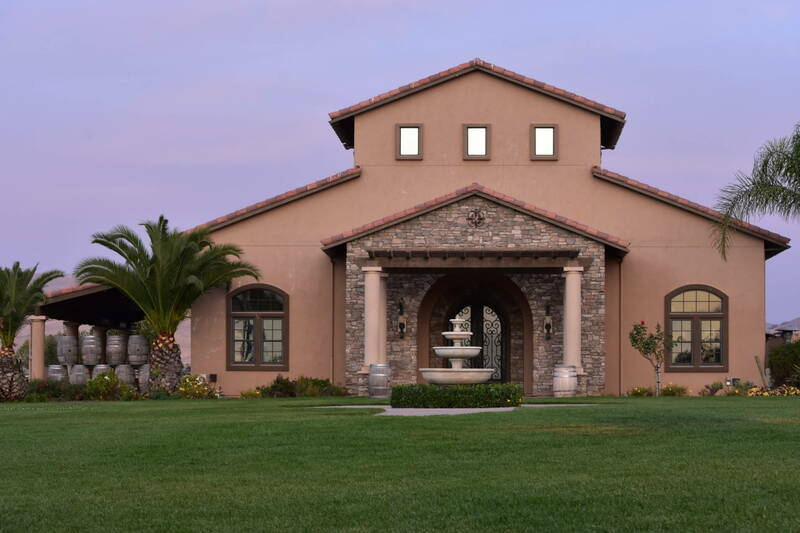 There’s a good chance that there will be a wedding that just happened or will happen at Las Positas Vineyards when you visit. Generally, that’s not a good sign since manicured lawns and spectacular views tend to make wineries figure they can coast on Instagram looks and pay less attention to the wine itself. Thankfully, despite making wine with a remarkable 14 different grape varieties, Las Positas is one of the exceptions and doesn’t neglect what’s in the bottle. 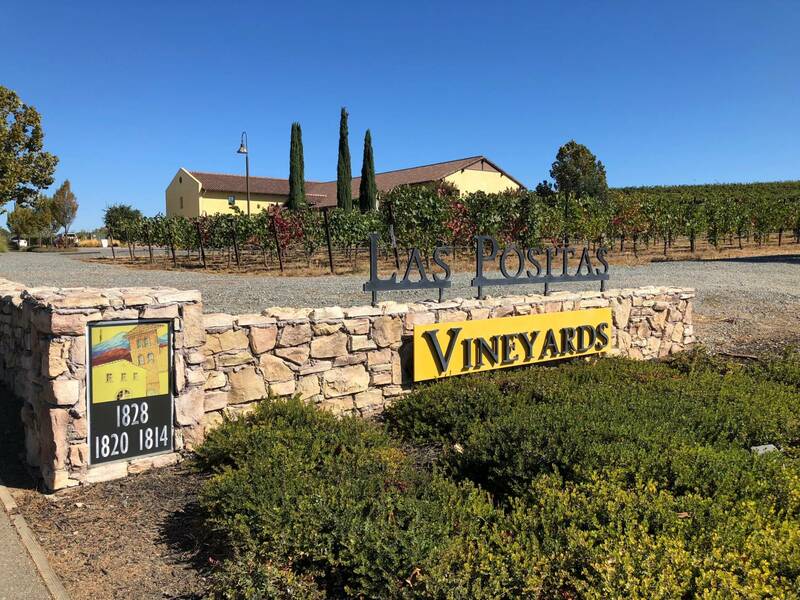 Red blends like the “Coccineous” with mostly Tempranillo and Syrah are the main strength at Las Positas, but you’ll also enjoy several atypical varietal offerings like an Albariño or the rare Barbera from Livermore. Here’s another catch in the spacious, clearly Tuscan-inspired space: outstanding locally made chocolates paired with certain wines that raise eyebrows but actually work, like a matcha truffle with Chardonnay and mint-chocolate chip truffle with a Tempranillo-Barbera-Nebbiolo rosé (!). By now, you’ve tried more than enough wine to be convinced that the Livermore Valley is playing in the wine big leagues. However, pound for pound and sip for sip, this writer found the most impressive regional wines to be at this final spot that bypasses any splashy tasting room vibe or gimmicky wines for focusing on great, carefully built Bordeaux-style wines. Co-owner/winemaker Larry Dino still produces fewer than 3,000 cases total, highlighted by a superb Semillon with a distinct tangy melon personality; a fruit-forward and vibrant Cabernet Franc; and the valley’s finest Petit Verdot and Malbec offerings, the latter being at 12.5% alcohol, and showing calmer, brighter personality than the ubiquitous Malbec from Argentina. 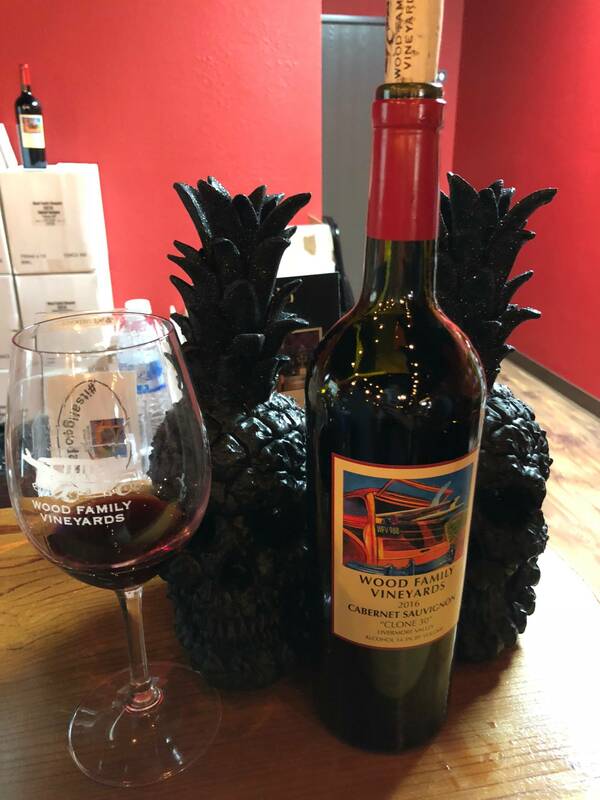 Occasionally Dino dabbles in “black label” non-Bordeaux wines like Sangiovese, but make no mistake, you’re here for the Bordeaux, which was the resolute inspiration for why he opened this winery a dozen years ago after learning the craft at nearby Las Positas College. 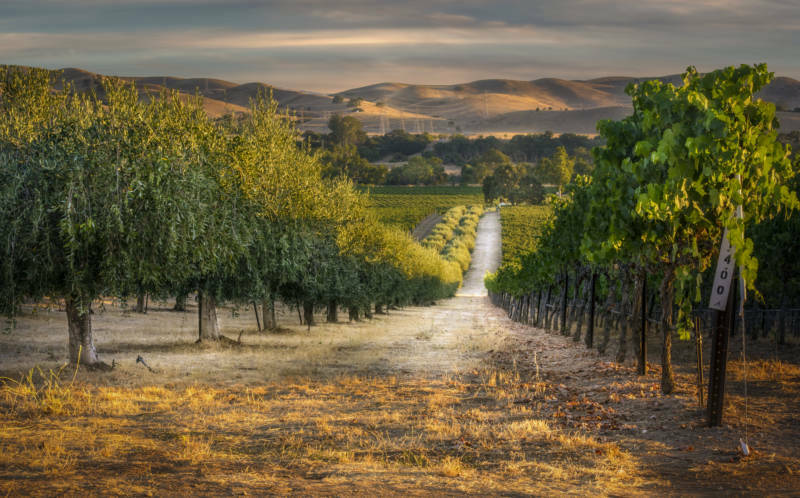 Bid farewell to Livermore with a last sip of the Cuda Ridge’s Reserve Cabernet Sauvignon and go spread the word: Livermore is serious wine country.